For the second consecutive year, Lycoming College has been named a “Great College to Work For” by The Chronicle of Higher Education, a top publication for colleges and universities. 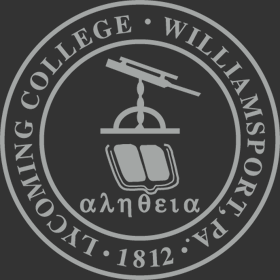 The Chronicle’s 2016 report on The Academic Workplace was released on Monday, and Lycoming is one of just 93 institutions to achieve the “Great College to Work For” distinction, the result of a comprehensive survey that recognizes colleges and universities for specific best practices and policies. Also for the second straight year, Lycoming was specifically honored for a high level of confidence in its senior leadership, defined as campus-wide trust that a school’s leaders have the necessary knowledge, skills, and experience for institutional success. The college also earned distinction in three more specific categories: job satisfaction, teaching environment, and tenure clarity and process. In 2016, the College continued to follow through on initiatives born out of its comprehensive strategic planning process, one that involved full-time faculty and staff sharing ideas and developing plans for institutional improvement. This past year, Lycoming created the Center for Enhanced Academic Experiences to significantly increase the types and number of experiential learning opportunities for students outside of the classroom, including undergraduate research, career advising and internships and global experiences. In that vein, the school also launched its new Outdoor Leadership and Education program. Also in 2016, the College recruited the most diverse class in its history. Along with Swarthmore, Bryn Mawr, Haverford and Ursinus, Lycoming ranks among the most diverse top liberal arts colleges in Pennsylvania. The survey results are based on a two-part assessment process: an institutional audit that captured demographics and work places policies, and a survey administered to faculty, administrators, and professional support staff. The primary factor in deciding whether an institution received recognition was the employee feedback. The Chronicle works with ModernThink LLC, a strategic human capital consulting firm, to administer the survey and analyze the results. Results are available from: http://chronicle.com/interactives/greatcolleges16.